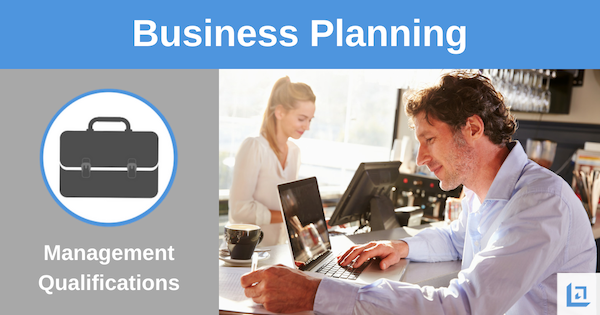 Effective business management planning must include a clear-eyed assessment of your management team. Each member of the team must bring something unique to the table to optimize the talent and skill-set of leadership team. Most business professionals agree that one of the key reasons for the success of any organization is the leadership and expertise of higher management. 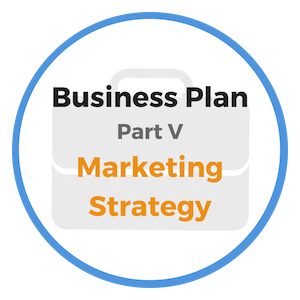 As a result, those who will be reviewing your business lesson plan are going to be very interested in the qualifications of the owner and/or key managers. These concern is right and it is warranted. No one in their right mind would decide to invest in a business when the owner knows nothing about the product he is attempting to sell. The risk of joining such an inept and misguided venture is just too high. So, it’s very important that you properly introduce your leadership team and support their appointment by listing clearly their unique qualifications for business management planning and implementation. However, before we get to your leadership team, let's talk about YOU. Good fortune is what happens when opportunity meets with planning. So, set a high standard for performance to attract high performing talent. In this section of your business plan, you need to provide great detail on your personal experience and qualifications as the primary leader. First, explain your background and level of experience in this type of business. Explain what your specific role will be and how directly or indirectly you will be involved as an owner. If your intention is to lead through others, how will you oversee the activities of the business and its assigned leaders? Identify your strengths and weaknesses to provide the reader with evidence that you are a thoughtful and self-aware leader. Describe other key members of your management team and their respective duties and responsibilities for growing the business. What are the key skills and strengths each team member brings to the business? Identify any skills that your team is lacking, which will require outside sourcing or additional hiring. A statement of support may go something like, “Mr. X managed a sales team of 20 people, increasing sales by over 15% in the first year of his employment with XYZ Company. In addition, Mr. X was directly responsible for hiring over half of the existing sales force. Finally, as you assess each team member, point out how each person compliments your own skills, or adds strength in an area that you are weaker. What value does each person bring to the overall business management planning and implementation process? If your business is a franchise, what type of assistance can you expect from the franchiser, and for how long? Include information about operating procedures and related guidance that has been provided to you by the franchiser. It is people who get things done." “What shall I accomplish today?” This is a question every person should ask and answer every single day. No one can fully enjoy life, or feel that he is truly living, if he has no regular sense of accomplishment. If you have doubt about your passion for the occupation you are in, abandon it as soon as possible. Choose your work. Do not allow work to choose you. Choose an occupation that will force you to develop and grow. It is a mistake to assume that a special calling or talent for a particular thing will always manifest itself in youth. Most people do not identify their true passion until much later in life. "In life, as in chess, forethought wins!" In other words, determine where you can best SERVE others. Fulfillment is quickly increased by serving others. Whatever you do in life, and in business, be greater than your calling. Having a focus on service to your customers is a key learning in the business management planning process. Too often people look at their occupation as a means for paying the bills and making a living. This is a narrow view that bleeds a person of his dignity and self-respect. Apply for the greater school in life. Work to develop yourself and broaden your horizons; deepen your understanding of what’s important; heighten your awareness of what’s out there waiting for you; and learn to appreciate the value of time and begin to maximize your time by living your passion. 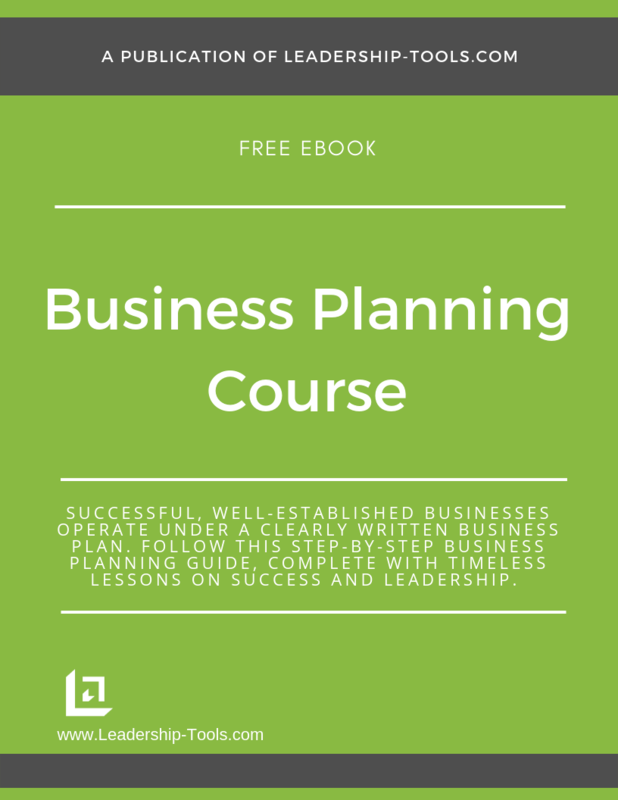 To download our free Business Planning Course/eBook, complete with step-by-step instructions for business management planning for the future of your business, simply subscribe to our free newsletter. You will immediately receive a password that grants access to our entire leadership tools library.